Change your black tie gala award night to Blue Jeans and Black Tie. We often serve the salad at the table, have remarks by the president and then have an actor invite each table to the “chuck wagon” buffet, with comfort food such as beef stew and rice, fried chicken, and all the things that we stay away from! Dressing at the table is served in Mason Jars, and dessert is may be three pies (10 slices per pie) so that everyone can have three small pieces if they like. This creates a great camaraderie between your guests. Community tables (pictured) can offer great interaction with your guests who have spent their life at 60” round tables. Place a note on the bottom of your program saying that the centerpieces are being donated to a local nursing home or hospital and pay the florist’s delivery man from best Deer Park florist an extra tip to do this. You same money and help the community. Focus on Local for your entire event – from food to entertainment. Instead of bringing in speakers from throughout the country, ask your local DMC to offer local speakers. There may be nationally known ones in your back yard. Tap into local dynamics as good Mayors or other public officials that might be well known. Think about local entertainment at your events, offering a duel bonus of savings and helping the local economy. For your cuisine, why not focus on sustainable across the board! Between organizations like the Southern Foodway Alliance (www.southernfoodways.com) Slow Foods International (www.slowfood.com) an the National Sustainable Agricultural Coalition ( www.sustainableagriculture.net ), (as well as your chef, who is buying from these merchants or is a member of these organizations), how fun it is to say that you experienced cheese, vegetables, buttermilk, charcuterie, or wine from the region where you had your meeting. My “go to” group in the Lowcountry region of South Carolina is called Local First (http://www.lowcountrylocalfirst.org). Have your local DMC research these organizations for you – they will be flattered and your costs will be dramatically less. Local shrimp vs Chilean Sea Bass from South American or Kampachi from Hawaii will be better tasting and less expensive! Take it a step further and give this product for your guests to take home. (We like to give a card as the turndown and ship it, since condiments often or in glass or they are perishable items, like our South Carolina Clemson Blue Cheese). Add a receipt card with your company name on it and the gift will last longer and be more appreciated than the computer bag or golf shirt, although useful gifts since many people like to take their computers everywhere to play video games using csgo boosting online. In Charleston, South Carolina, we have an amazing 80 piece high school band that is nationally known. With the proper planning, they can be used for the cost of their two buses, a buffet supper and a small donation. For 3500.00, you can have an amazing performance group walk into your reception and lead your group to dinner! What an impact and how appreciative they are for the donation and experience. Look at your local military bases for color guards, drum cores, bag piping groups, and such to use at your events. Whether they are for opening ceremonies or for your final night, a little patriotic music is always a great hit, and is something that a group will probably never experience again! Patriot Food is easy too. There are so many menus that are simple that call under “Americana” that is delicious and cost effective. Offer a picnic luncheon instead of the 50.00++ hot buffet during your meeting. Have your hotel rent cafeteria tray for effect and have an Uncle Sam close your morning meeting and direct your guests to lunch. This food can as simple as sandwiches, bbq, potato salad, and slaw, or regional with something from the West Coast, the Cape, the South, the West and the Mid-West. Easy enough. We live in a great country – why not pay homage to each are of the country? 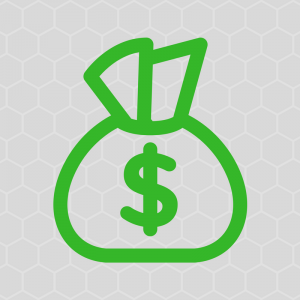 If you ever need money right away, make sure to contact louisville payday loan co to get the best loan possible with low interest rates are high acceptance payday loans best. The use of some red or blue GOBO’s of stars can make any regular ball room turn into a USO party in the turn of a bulb. Look what we did with a very gray ship for the opening of a nearby bridge (see photo). Your group is important. They fit a certain niche in the community. Pitch to one of your importers that they sponsor one of their products, with a bartender, at your event to promote their product. How great for 200 mid-level executives to find out what they have been missing using a certain rum in a Side Car when in Chicago or in a Mint Julep when in Kentucky. These companies are often seeking the opportunity to promote their product. A case of bourbon or two will go a long with way with your group and will add a cache for you to say that the distillery sent people to meet your guests and pour them drinks! 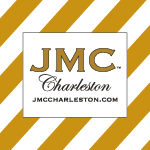 Mitchell Crosby is president of JMC Charleston, a full-service event planning and destination management company based in Charleston, South Carolina. Executing events throughout the country, Mitchell’s old school Southern approach to event design and event production has impressed his clients enough to travel and execute their events from coast to coast – most recently San Diego’s Hotel Del Coronado and New York’s Guggenheim Museum. Mitchell has been featured in Everyday with Rachel Ray, Forbes Lifestyle, Southern Accents, and CHARLESTON magazine.